Laip, S.A. extends range and features of its high power torque chuck system. Our product range is continuously evolving in order to provide economic solutions in very short lead times, thus enabling our customers to optimise their operating costs, qualities and delivery times. We have engaged in several collaboration projects with leading companies in sectors such as aerospace, and this had led to the development of our new High Power Torque Chuck series. This new range offers torques of up to 1000 Nm in its 20 capacity grip version and up to 3200 Nm in the 32 mm capacity. In 16 mm, 20 mm , 25mm and 32 mm versions. The same chuck can work both with internal cooling through the clamp and through the tool, just by changing the type of clamp. 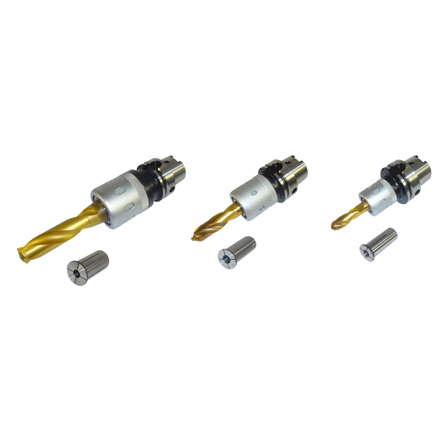 This considerably improves the routing of the coolant oil to the machining contact points, evacuating the heat sources better and, as a result, improving the life of the tool.